Update Oct. 8th 2012: LINZ has added new polygon datasets for all land areas in New Zealand (see comments below), so you don't have to do the job described in this blog post. 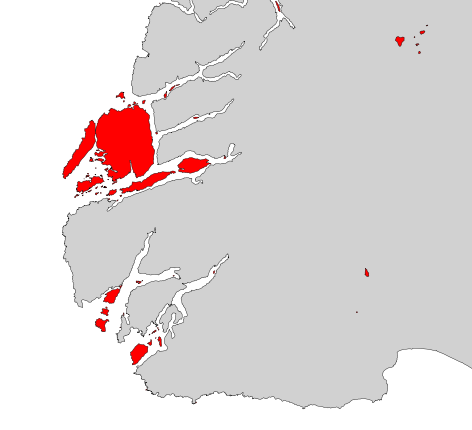 The techniques for editing and merging shapefiles are still valid. 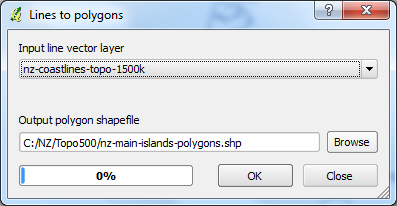 I named the new dataset "nz-main-island-polygons.shp". This dataset (nz-island-polygons-topo-1.shp) also contains inland islands (islands in lakes), which I don’t want. 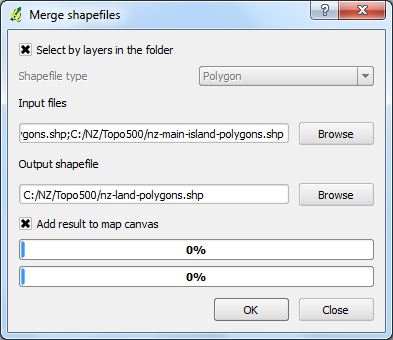 I made a copy of this dataset named "nz-coast-island-polygons.shp" and removed the inland islands manually with "Select features by freehand" in QGIS. 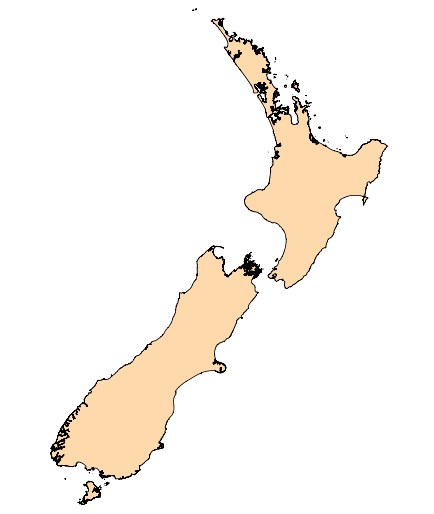 We now got a polygon shapefile (nz-land-polygons.shp) containing all land areas of New Zealand, except the missing offshore islands. Nice if you post back here once you release the datasets. I'm in New Zealand for another month or two, so I might even use it for my experiments. It's great that you provide all these data for free! I've alredy tested the 250k version, at it works perfectly!